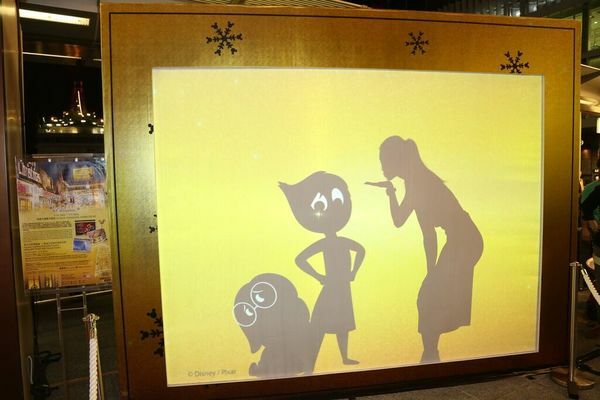 Your favorite Disney characters have been busy preparing for the grand anniversary celebration at Hong Kong Disneyland! Just a quick plane ride away is the happiest place on earth, waiting to share more magical moments with you. 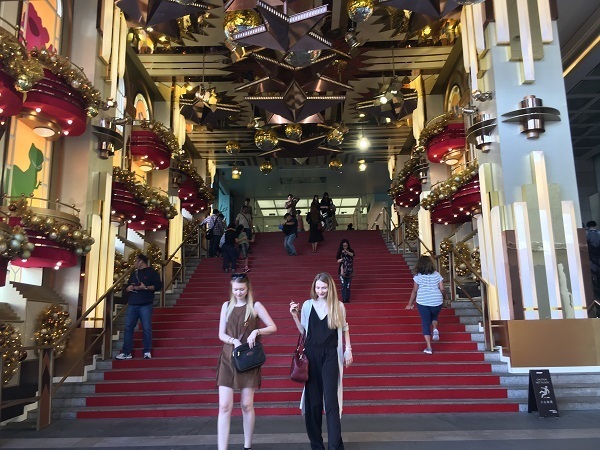 Start planning your Disneyland adventure--here are the activities and offers you can enjoy this season and until next year at Hong Kong Disneyland for you to create your 'happily ever after' moments with loved ones. 1. Play all day at the Disney theme park. 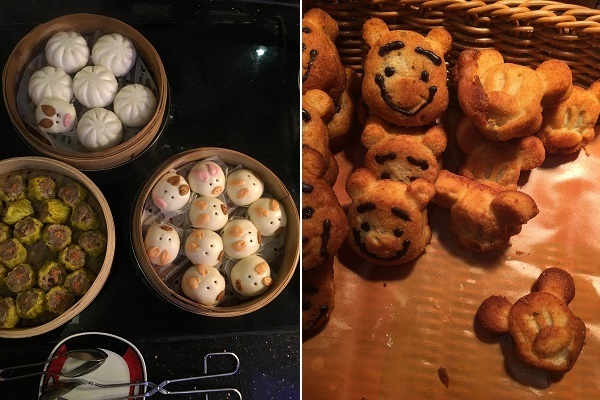 If you've never been to Hong Kong Disneyland before, then it's recommended to visit the park for two whole days to fully experience every attraction and ride -- you can even have a Disneyland Tour Host help you with tour services, or avail of a Fastpass to save you time at different attractions by skipping long queues. Must-not-miss is the classic 'It's a Small World' in Fantasyland and Adventureland's Jungle River Cruise both suitable for the entire family; for thrill-seekers, head to the Grizzly Gulch and ride on the Big Grizzly Mountain Runaway Mine Cars where Grizzly bears take over and send you in and out and all around the mountain, and take a high-speed journey at Tomorrowland's Space Mountain -- definitely for the adventure junkie! Next time you and your family visit #HongKongDisneyland, don't forget to swing by Main Street for the all-Filipino live entertainment of the Main Street Band! Be sure to catch the colorful "Flights of Fantasy" afternoon parade that happens every day here at Hong Kong Disneyland! Aside from bumping into well loved Disney characters and having the regular photo-ops with them, more characters join in for the 10th Anniversary: huggable villain Lotso the bear will be at Toy Story Land for the first time, and on December 17th, Star Wars' Stormtroopers will march around the park. Coming next year is Baymax and Princess Sofa from 'Sofia the First,' too! Mickey and friends will also dress in their special Anniversary costumes to meet and greet guests in front of Sleeping Beauty Castle every afternoon. 2. 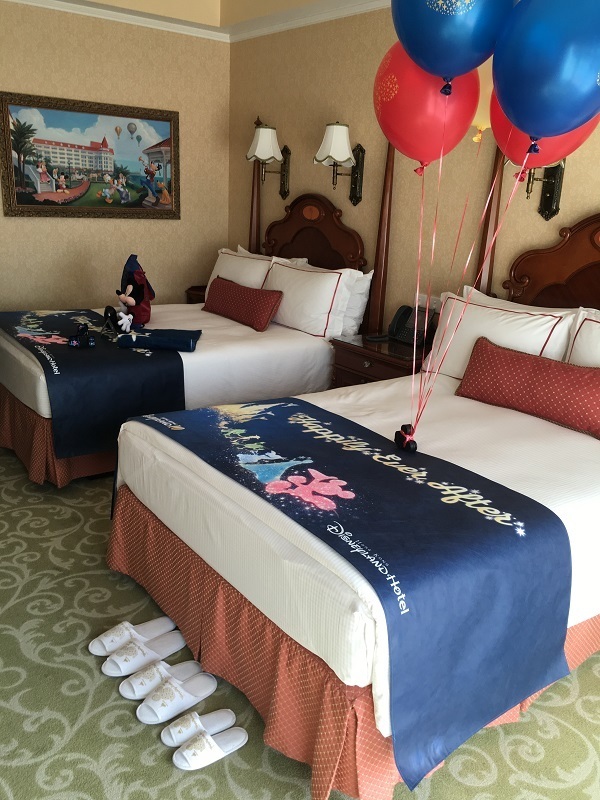 Complete the experience by staying in a Disney-themed hotel. 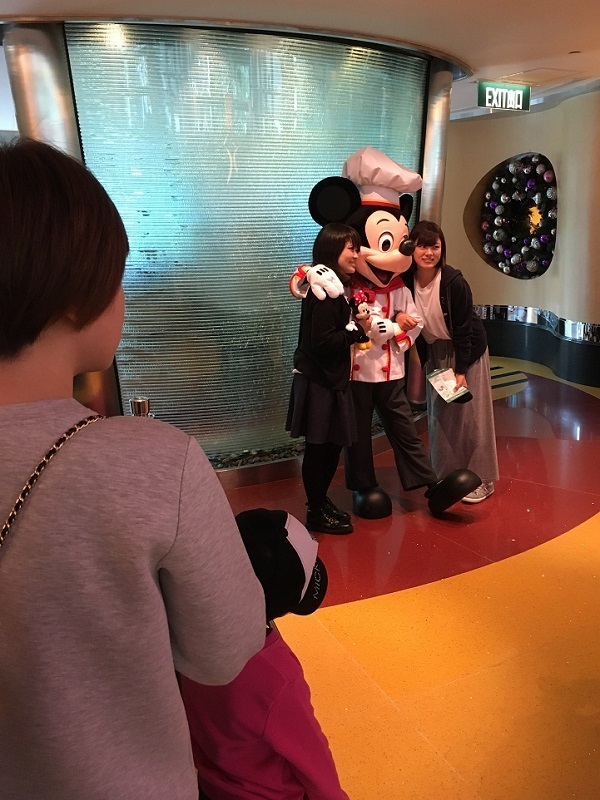 Stay in the middle of magic and keep your Disney love close even when you're not exploring the theme park: choose between Hong Kong Disneyland Hotel and Disney’s Hollywood Hotel. 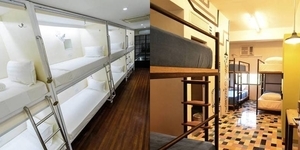 Hong Kong Disneyland Hotel boasts of themed rooms like 'Frozen' and a special 10th Anniversary themed room, and staying at any of these two hotels within the Disney Resort also entitles guests to complimentary bus rides between the park and hotel. Since they're celebrating their anniversary, hotel and dining offers await guests: save up to 30% on your room at Hong Kong Disneyland Hotel or Disney’s Hollywood Hotel (from until March 31, 2016) and also enjoy a free hotel dinner buffet when you reserve your hotel room at Hong Kong Disneyland Hotel (HK$2,805/night for 2pax) or Disney's Hollywood Hotel (starting HK$1,980/night for 2 pax)from now to March 31, 2016 (Sunday to Thursday). 3. 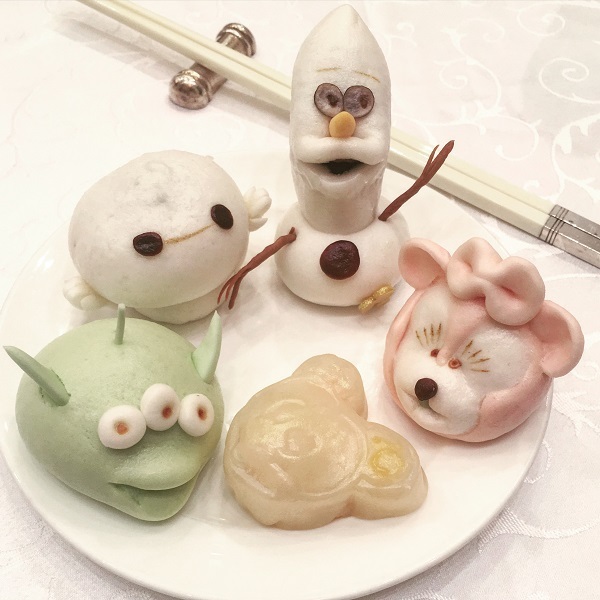 Dine with your favorite Disney characters and feast on Disney dim sum and more. Have a buffet feast at Chef Mickey in Disney’s Hollywood Hotel and get to meet and greet Chef Mickey Mouse himself while enjoying character-themed dishes as part of the eat-all-you can spread. 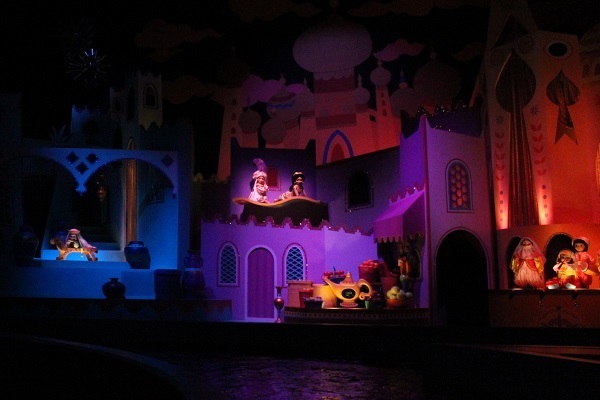 Want to mingle with more Disney characters? Then Hong Kong Disneyland Hotel's Enchanted Garden awaits, with favorites like Daisy Duck and Goofy doing their rounds at the restaurant to greet every guest. Top of the morning to you all from Pluto greeting everyone here at Enchanted Garden, Hong Kong Disneyland Hotel! 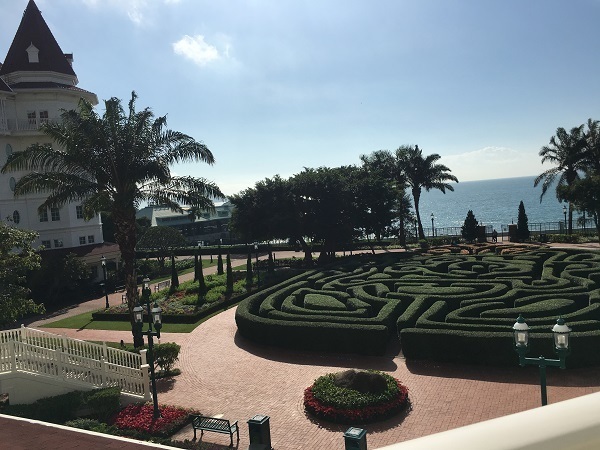 At the park, they are also whipping up Christmas delicacies and celebratory dinners, which puts tasting menus featuring chef award dishes on the spotlight, as well as afternoon tea sets and special beverages. Avail of the Play & Dine offer which combines Park Ticket and a Free Combo Meal you can claim at 4 of the park's restaurants, valid until January 31, 2016. 4. 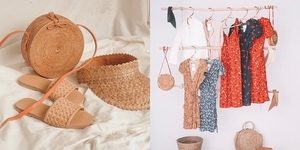 Take home some 10th Anniversary goodies for pasalubong. 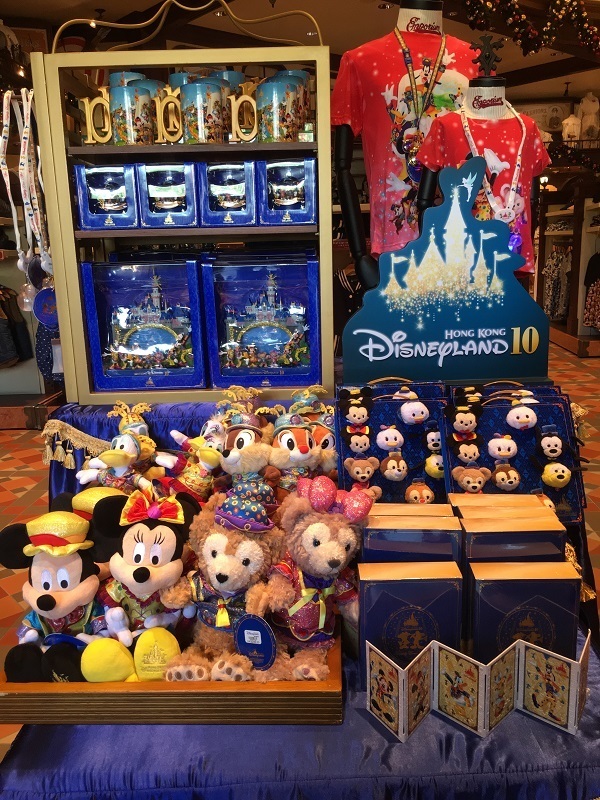 From plush toys to tumblers, bags, stickers, and other merchandise, Hong Kong Disneyland has especially created a line of 10th anniversary products for you to bring home and give as gifts. 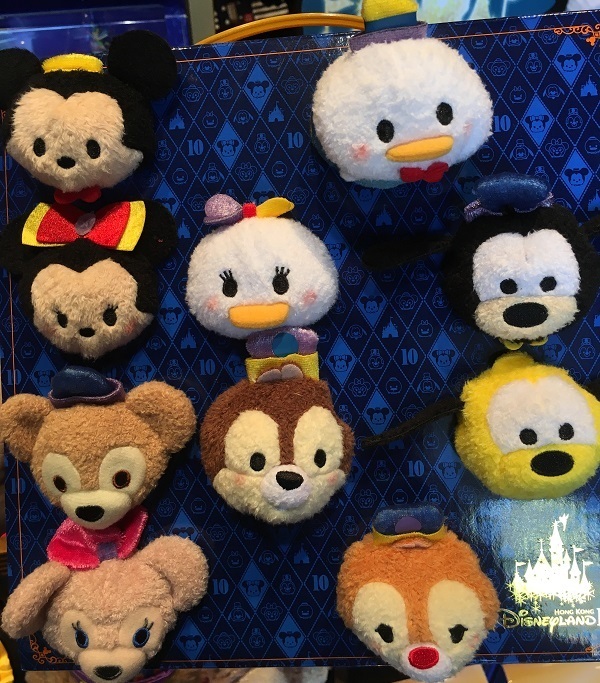 Popular is the 'Tsum Tsum' line, which are extra-cute plush toys which are adorably shaped so that you can stack them on top of each other ("tsumu" is Japanese for "stack"). 5. Explore the Fairy Tale Forest to rediscover your favorite princess stories. 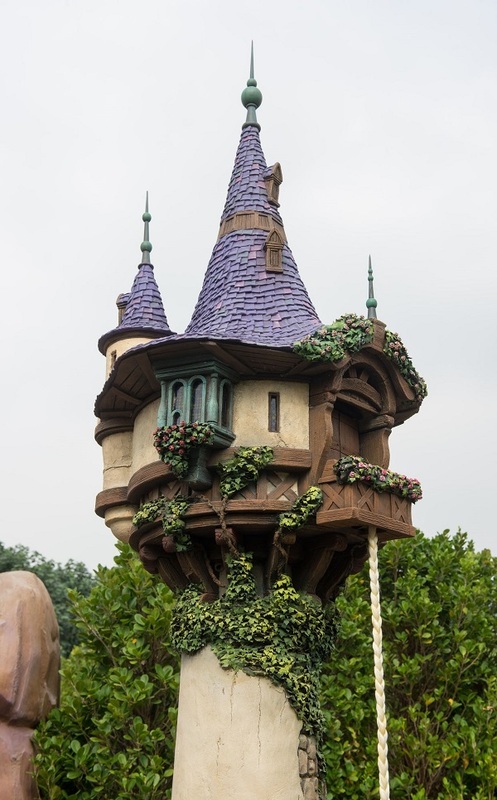 Coming this December 2015 is Hong Kong Disneyland's latest magical attraction that features miniature iconic scenes from five Disney Princess stories. Fairy Tale Forest is a fairy sized world where you can have a chance to meet Tinker Bell at the Pixie Hollow, and rediscover the tales of Belle, Rapunzel, Ariel, Snow White, and Cinderella. Fairy Tale Forest presented by Pandora will open on Decemer 17, 2015. 6. Watch a story book come to life with your favorite Disney characters in the new 'Mickey and the Wondrous Book' musical. The new 28 minute musical revue staged at Disney's Storybook Theater is a Broadway style show that brings in some of the greatest Disney songs and characters for a fun mashup, with Mickey Mouse and Goofy in the lead in a magical journey of discovering a wondrous book, and a warmhearted snowman named Olaf. 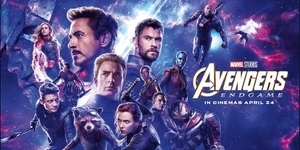 This musical also features the 10th Anniversary theme song 'Happily Ever After" and will take audiences through seven well loved Disney tales: The Jungle Book, The Little Mermaid, Tangled, Brave, Aladdin, The Princess and the Frog, and Frozen. A new world in every chapter: #hkdisneyland's new show "Mickey and The Wondrous Book" features a medley of well-loved Disney characters to make your Disneyland experience even more memorable! One of the highlights of the new #hkdisneyland show is of course, Elsa! 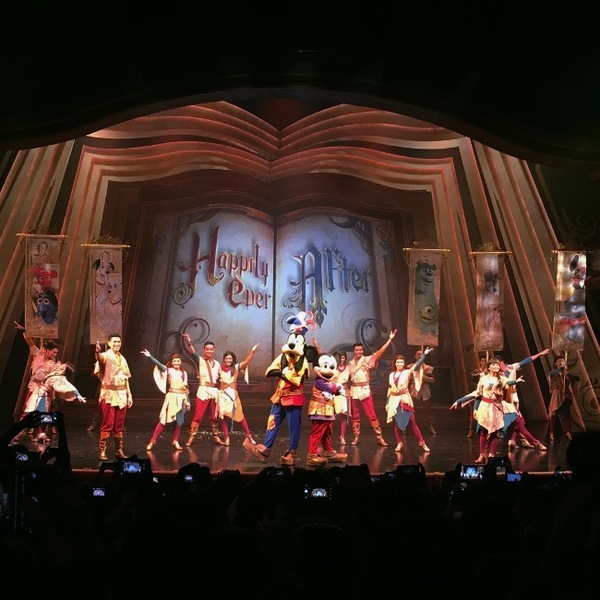 Stellar Filipino talents call Hong Kong Disneyland their home, and here are Raki Vega and Gian Magdangal of the new show "Mickey and the Wondrous Book" inviting you all to take a magical trip to the Happiest Place on Earth! Catch 'Mickey and the Wondrous Book' at Fantasyland - Disney's Storybook Theater and visit the official website of Hong Kong Disneyland for updated schedules and Time Guide. 7. See Anna and Elsa up close for the 'Frozen' Christmas Tree Lighting Ceremony. Every evening as the sun sets, everyone can head to Disneyland's Main Street to witness the magical power of Queen Elsa. With a medley of your favorite 'Frozen' songs, Anna reunites with her sister to make the giant Christmas tree sparkle and glitter. And to make things even more dazzling, Elsa will make it snow! Elsa made it snow tonight at @hkdisneyland! 8. Catch the 'Disney in the Stars' Fireworks with an all-new castle projection. 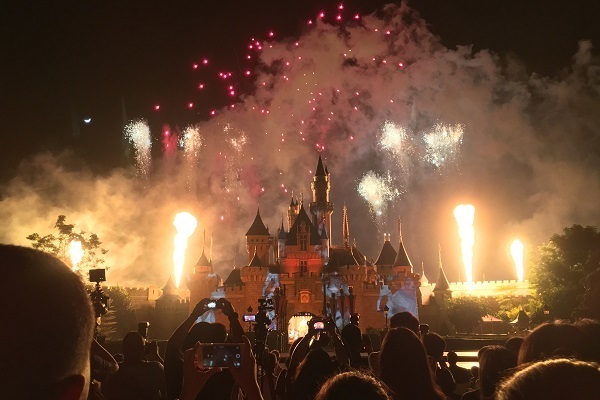 Spend the evening at the park watching the Sleeping Beauty Castle sparkle with brand new light effects and video projection choreographed with colorful fireworks! Ready your cameras for the castle projection show, as a total of 49 Disney characters will be featured, set to a wonderful medley of Disney songs -- expect classics like Cinderella and Belle appearing at the projection alongside Baymax, Joy, and Sadness. Celebrating 10 years of Hong Kong Disneyland with the stunning "Disney In The Stars" Fireworks at the Sleeping Beauty Castle. Good evening from the Happiest Place on Earth! 9. Have a special Star Wars themed Disney experience. 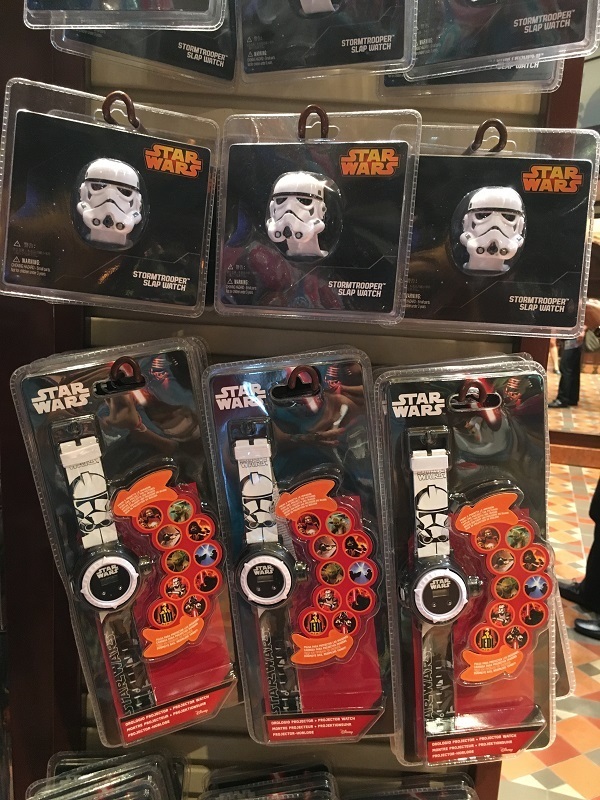 The force is strong at Disneyland as everyone is anticipating the premiere of "Star Wars: The Force Awakens"! If you're a Star Wars geek, then avail, you must, of their many Star Wars themed merchandise and memorabilia -- over 250 items to choose from! And on December 17th, the day the film invades cinemas worldwide, the Stormtroopers will come marching to the park to join the Disney friends. 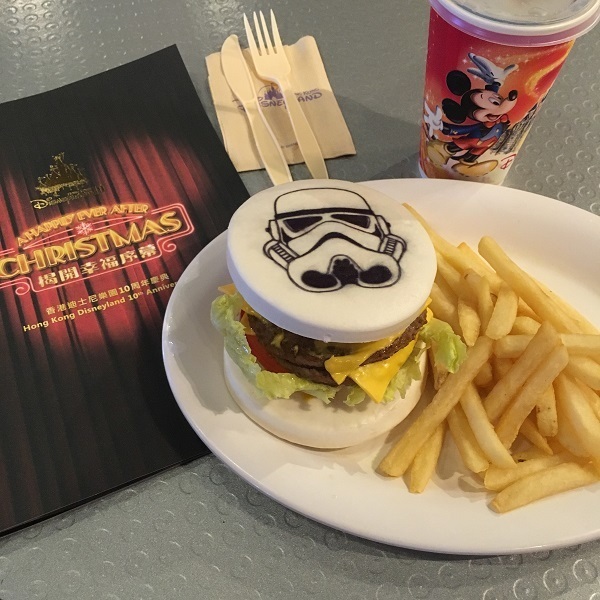 Aside from buying Star Wars products, you can also partake on Star Wars themed food and drink which will be available at the two Disney hotels and at the park's restaurants until January 3, 2016. 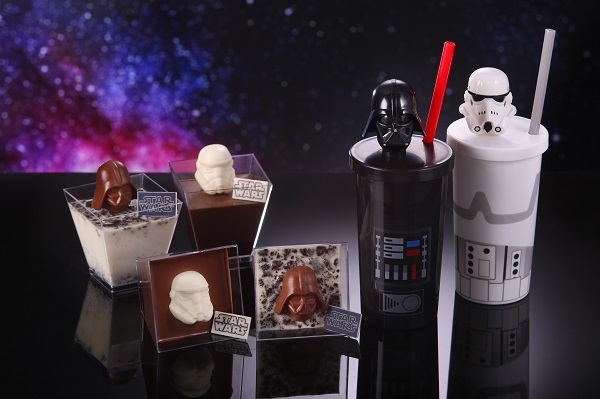 From appetizers to desserts, enjoy edible versions of Stormtroopers, the Millenium Falcon, Darth Vader, and more. 10. 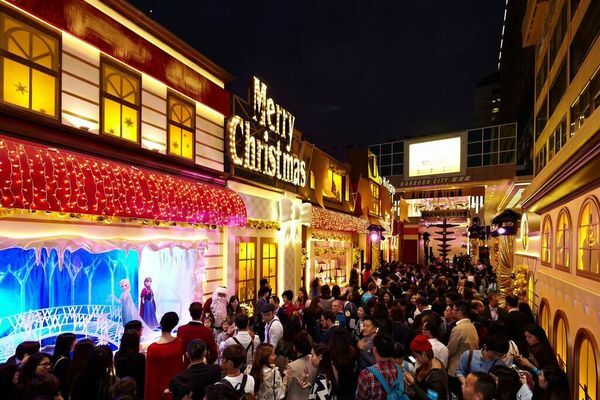 Shop at Harbour City and stroll at their Happily Ever After Christmas Avenue. 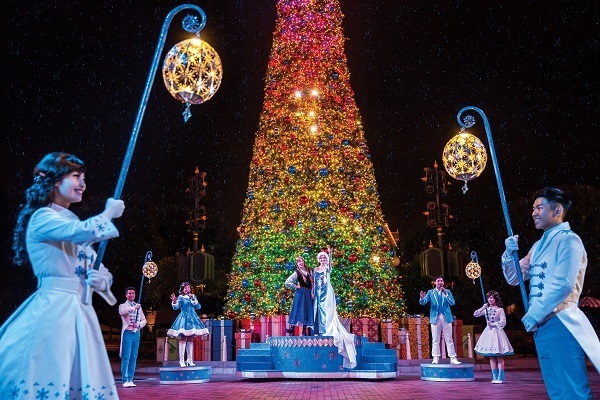 Disneyland extends its magical charm to its partner Harbour City this season, as the premier Victoria Harbour destination (Hong Kong's largets and most diverse shoppiong mall) is bringing 'Happily Ever After' until January 3 with its Christmas Avenue. 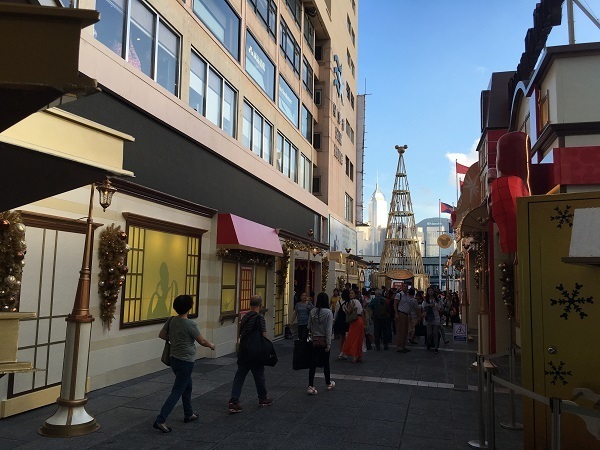 Visit the Ocean Terminal entrance for the Giant Golden Starry Tree, Christmas Gift Box, and different Disney fairy tales in the form of Disney Holiday Windows where shoppers can take photos with their favorite characters. Harbour City is located at 3-27 Canton Road, Tsim Sha Tsui, Kowloon, Hong Kong. Visit www.harbourcity.com.hk, Like on Facebook (/hkharbourcity), and Follow on Instagram (@harbourcity) and Twitter (@hkharbourcity). 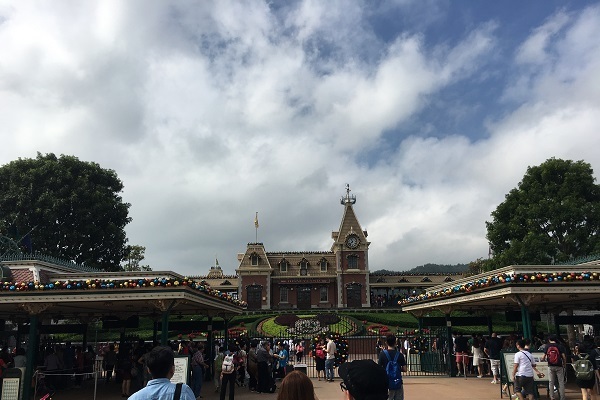 Hong Kong Disneyland Park, Hong Kong Disneyland Hotel, and Disney's Hollywood Hotel are all located at Hong Kong Disneyland Resort in Lantau Island, Hong Kong -- it is close to Hong Kong International Airport, which is also located in Lantau Island. Take the Mass Transit Railway (MTR) from the airport by boarding the Disneyland Resort Line at Sunny Bay Station. A 10th Anniversary MTR Disneyland Resort Line Souvenir Ticket Set is also for sale at all MTR Customer Service Centres while stocks last. The ticket set (120HKD) includes one MTR souvenir ticket, a specially designed ticket holder, and a Disney gift featuring a Mickey Mouse fluorescent drawing board. To learn more about Hong Kong Disneyland's 10th year anniversary festivities, visit www.hongkongdisneyland.com, and keep connected with Hong Kong Disneyland on Facebook (/hkdisneyland.pa), Youtube (HKDisneylandResort) and Instagram (@hkdisneyland).